We are glad to bring you an insightful interview with Mark Woeppel , founder and president of Pinnacle Strategies, an international management consulting firm working to improve operations performance in project management and processes. He frequently writes on the subject of execution performance, having written three books and many other publications. With extensive experience in oil & gas, consumer products, IT, many manufacturing industries, Mark is a highly sought after subject matter expert in project management, operations management, performance management, and continuous improvement. The book brings out the realistic problems that everyone encounters like visibility issues in managing a project/portfolio, end goal for team members, lack of communication etc is all related to the way project management used to work. If you look at the problem statements, most of them can be covered if you implement Agile. What do you think? Indeed, the Agile method can be used to achieve the Basic Collaboration level of execution maturity, and it can do it well. This is just the beginning. There are other problems. For many projects, with longer wavelengths, hitting delivery dates reliably is a problem. Synchronizing remote teams is a challenge. Integration of subcontractors’ projects into the main project is always problematic. Managing capacity, probabilistic planning and systematically breaking bottlenecks are not part of the typical tools set for Agile. And that’s what I see in Agile. Tools. Rules. Plenty of “what” to do, but not much on “why” should we do that. Visual Project Management goes beyond Agile. What I’ve laid out in the book is a methodology and set of principles that support any project environment. The examples that I’ve used and proposed have has several things in common with Agile, but those are just the means to the end. I’m not in love with the tool, but I am serious about achieving the outcomes: increased velocity, improved productivity, delivering projects on time. Visual Project Management builds on those best practices and integrates the best practices so that any team can understand the cause and effect of project team behaviors to results and pick the methodology that supports them. Where did the concept of the book come from? Visual Project Management is the distillation of best practice in project management, employing Lean principles, the Theory of Constraints, and putting the project management body of knowledge to work. We started with the most difficult activity of creating probabilistic project plans for some very large projects, then putting them into execution. We had mixed results in adoption, even though the projects we used them on were successful. As agents of transformation, we were frustrated, looking for a better way. In the meantime, we were using visual workflows in some of our other Theory of Constraints/Lean process improvement projects and having good success. So we thought we would try them on a sophisticated project. The results were spectacular. We were able, with some very simple tools, to engage all of our stakeholders, from senior managers, to resource managers, to subcontractors to drive better results in the entire portfolio. We wanted to understand “why” it worked, so over the course of the next 4 years and many different kinds of projects, we developed and tested the principles and tactics to take the execution process from ad-hoc to fully integrated. We now know the specific behaviors that precede project success. Some of them are well known, some are not. Please tell us what is Viewpoint framework? ViewPoint is what we have named the visual project management process using the Project Execution Maturity Model (PEMM). It uses the visualization of the project delivery process as a springboard to drive team behaviors: to collaborate and effectively manage projects to deliver on time. ViewPoint treats project execution as a process, with principles and practices to create repeatable, scalable results. Typically, project management process improvements are built around the sequence of how projects are accomplished: get an idea, form a team, make a plan, execute the project, and then execute the project manager. ViewPoint reverses that - focusing on project execution first. ViewPoint emphasizes global results over the entire portfolio or business to makes all projects (although it has been used to manage a single project) under management visible, allowing for strategic management of the bottlenecks that block project process. Rather than taking the team away from their work to do planning activity, ViewPoint focuses on getting the work done – emphasizing project execution processes and behavior and improving the team’s effectiveness. This then allows the team to engage more with the tasks to be accomplished (rather than sit in meetings to talk about the work that hasn’t been done). 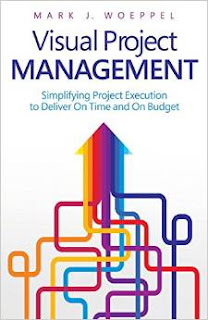 You talk about a lot of Models in the book that you believe will help the projects be delivered the way they should be- what according to you is the main focus that every project manager should look into? Well, “should” is a bit strong. What I’m looking for is “effectively”. On time, on budget, within scope. Everyone’s good at the latter, the former, not so much. Most managers believe the planning phase is the most important part of the project, so they invest a great deal in the skills, processes and practices around project planning. There’s an entire industry devoted to helping you plan better. We’ve done quite a bit of research into what works and what doesn’t work in project management, and despite millions in investments, projects are consistently late and over budget. You can see the report here. I have personally gone the plan-execute-success route; it’s long, arduous and delivers mixed results. Emphasizing the PEMM and the principles embodied in them, has given our team and our clients excellent results time and again. You must have a model for execution – a framework. Without it, a plan has limited value; improving the plan is a waste of time. Besides, what plan is ever perfect? None of them. Who can stop in the middle of a project to do a re-plan? Almost no one. You have be able to live with “good enough”, because we live in an imperfect world. What managers should be looking at is establishing the behaviors and feedback mechanisms that will allow them to respond to reality – Murphy lives! - while still delivering what’s required. This is the beauty of the PEMM. It lives in the real world. What difference according to you visualizing project management will achieve? What it does is make a big difference in how projects are delivered and how the team experiences the project process. At the business end of things, projects are delivered in a LOT less time and at lower costs. For the project team, there is a greater sense of accomplishment and enjoyment of the process. It’s not frustrating. There are no more “battles” to fight, even though there are still problems to solve. They feel like they are making a real difference, because ViewPoint Visual Project Management removes the obstacles to getting the work done so they can make a difference. For the leaders and owners of the projects, they have greater understanding of where they are during the life of the project. They can rapidly understand the risks and obstacles so they can engage the right people and resources to meet their projects’ objectives. Their job is easier, too. To summarize, the difference is in the people: customers, team members, owners all get what they want. Without a fight. You can find more in his website by clicking here.